As you know I am all about getting tropical! Even in fall because well, this is what fall here in Florida looks like! 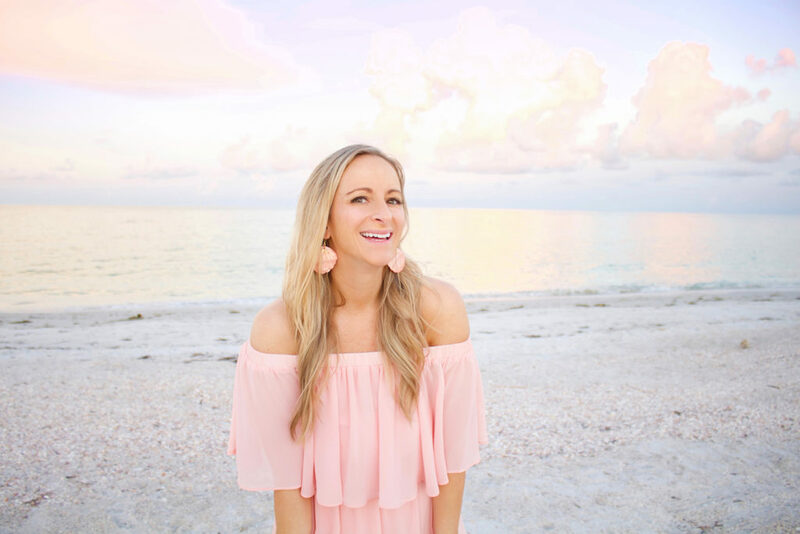 I am always on the hunt for all things paradise inspired, colorful, and unique so when I found Devi & Co I knew I was in love. Can you believe this is a real orchid in my necklace?!? 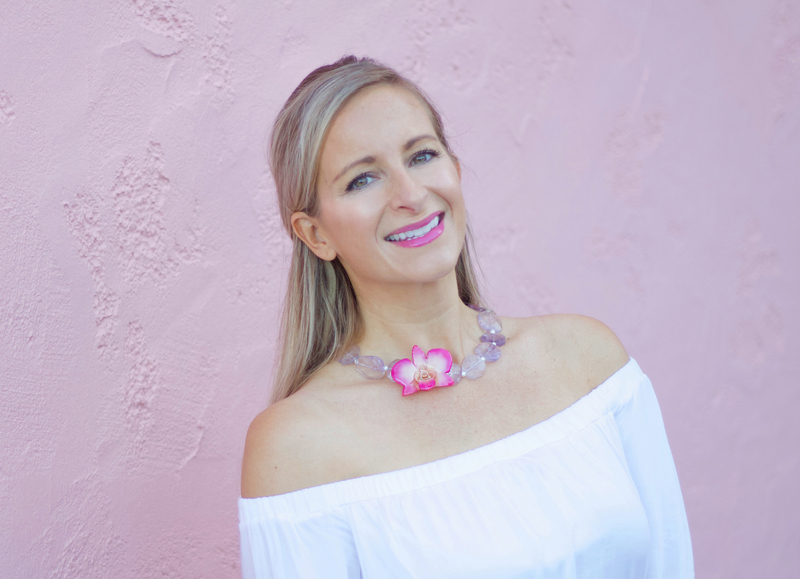 Devi & Co hand preserves beautiful orchid blossoms and pairs them with fine gemstones for the most perfect tropical necklace that will last a lifetime! You can just tell they are made with love too. There is a range of colors and different gemstone combinations for you to choose from and the owner, Sheley, is so kind and helpful with picking out the perfect one for you. Devi & Co also has a curated selection of fashion pieces for the tropical girl. Right now they have some the cutest dresses and bags including this Large Woven Tote. Which is big enough to fit all of my beach necessities and my camera too! And guess what? It’s on sale right now! Yay! So whether you are living somewhere warm, going on a tropical vacay or just want a beautiful unique necklace, Devi & Co is here for you. Sheley was also kind enough to offer a 25% discount with the code: LOVELY 🙂 I am heading to the Bahamas next week and can’t wait to wear my new favorite necklace there! Now time to start packing everything else! Happy Thursday friends!! Treasure Island is one of my favorite beaches to take out of towner’s to when they come for a visit. It has the longest stretch of perfect Florida sand before hitting the calm Gulf water. Almost every time we are here we see dolphins too! Sunsets are a dream out here, but trust me the sunrises are worth waking up early for (plus you pretty much get the whole beach to yourself!). I am so glad to be back home and minutes away from this beautiful spot! 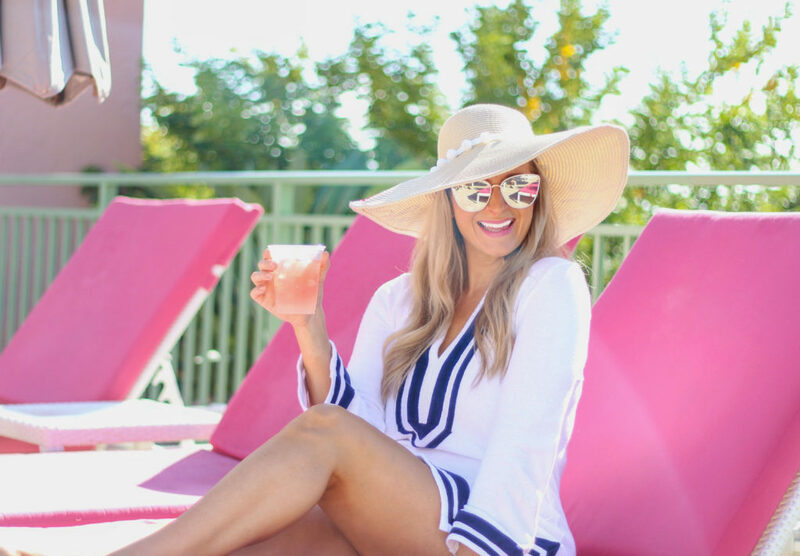 A must when going to any beach is a cute coverup like this one from Beaches & Boho. They have such a fun selection and are very reasonably priced too! You can shop them here: Beaches & Boho. I’ve also added links for my accessories below 🙂 Hope you have a sunny week! 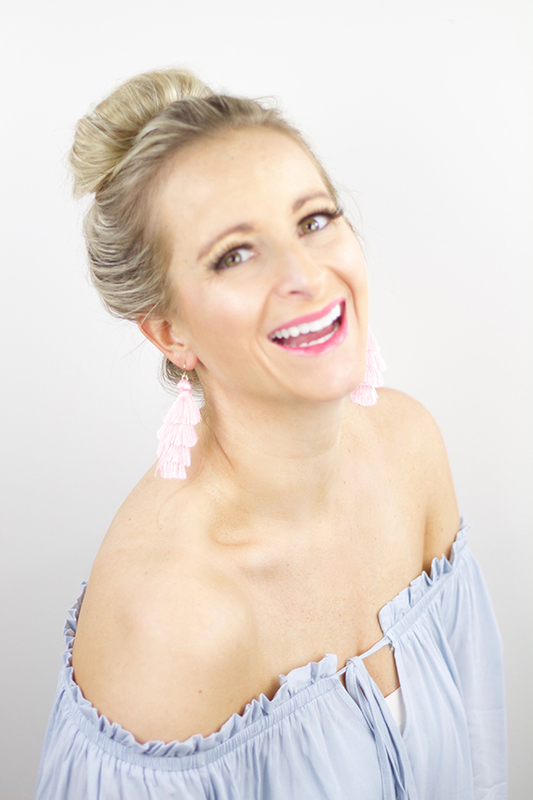 I am absolutely loving all of the statement earrings that have been coming out this summer! They are my go to when I need to add a little more fun to my outfit. There are so many bright, bold colors available right now! It’s fun to mix and match with different dresses and tops and they can totally change your look. I have to admit, I love wearing white too! 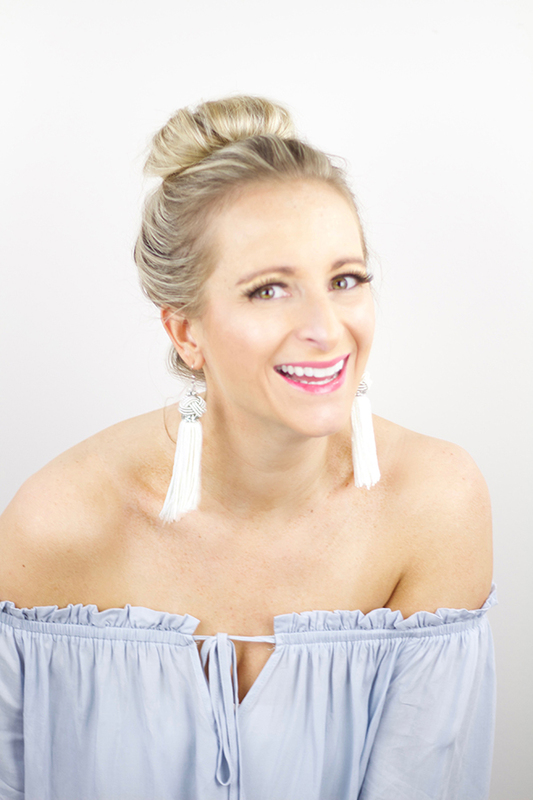 These long white tassel earrings that I am rocking in the top left photo are super lightweight and go with everything! Both pairs pictured above are from CHARMING CHARLIE! Have you even shopped there? The store is filled with so many fun pieces and it’s all color coordinated! The organizer in me loves this 🙂 When I lived in Vegas there was a store right down the street so I would frequently stop in and buy a pair on my way to an event. Since we moved to a city that does not have one, I order a ton online! This helps me plan my outfit a little further out than the night of, which is a very good thing for me. I definitely feel less rushed when I know what I am wearing . 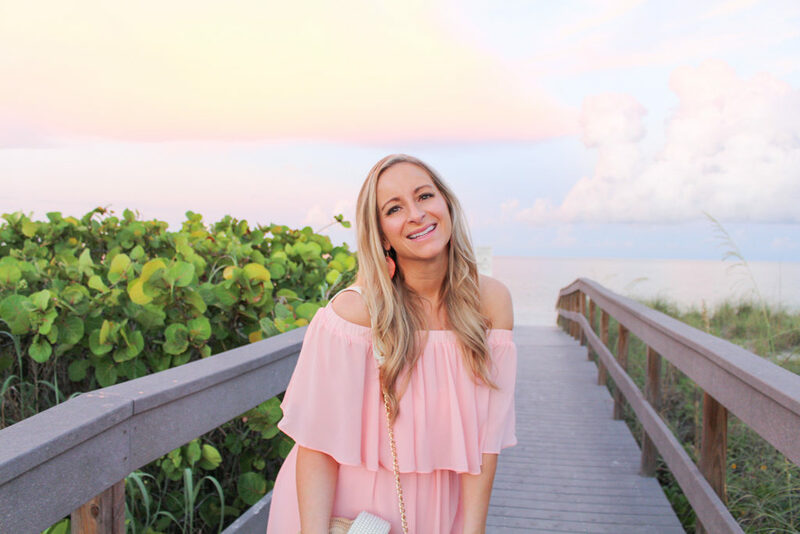 I have found so many fun pairs from a few different online shops and I’ve rounded up some of my current favorites for you below. Which statement earrings do you love? Or do you have a fav pair that isn’t listed below? I’d love to hear! If you get the chance, it is totally worth waking up early and catching a sunrise every now and then. I would love to see your photos! Happy Monday friends! 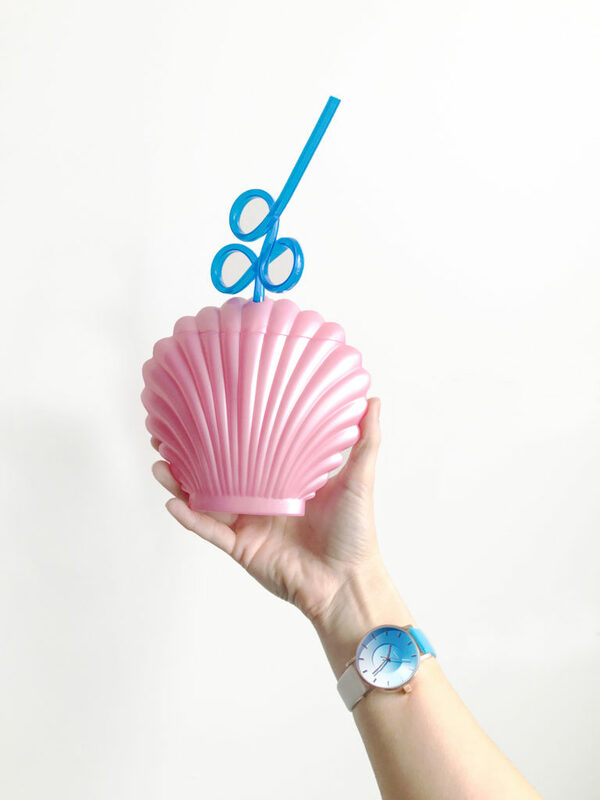 I have official found my favorite watch for Summer! The KLASSE14 Volare Sky Midday! 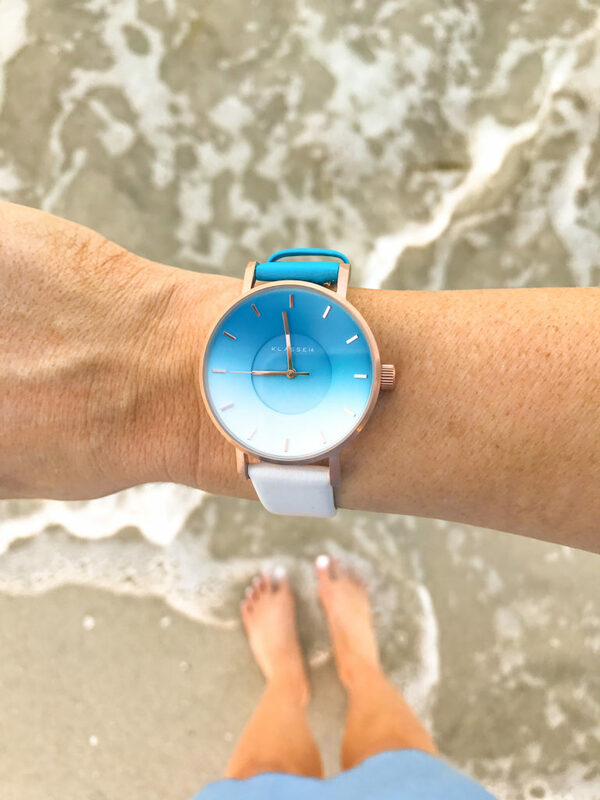 This watch is a beautiful blue/white ombre with rose gold plating and so comfortable to wear. 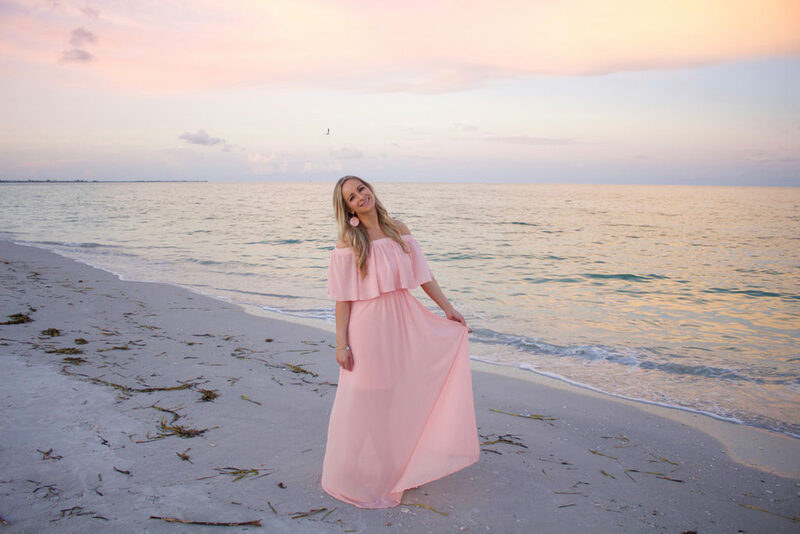 It is perfect for a day at the beach or paired with a cute summer outfit. And it is water resistance which is always nice. I wore this on vacation in Florida and got so many compliments on it! I mean it matches the ocean and the sky! I love that it is so different from any of my other watches too. 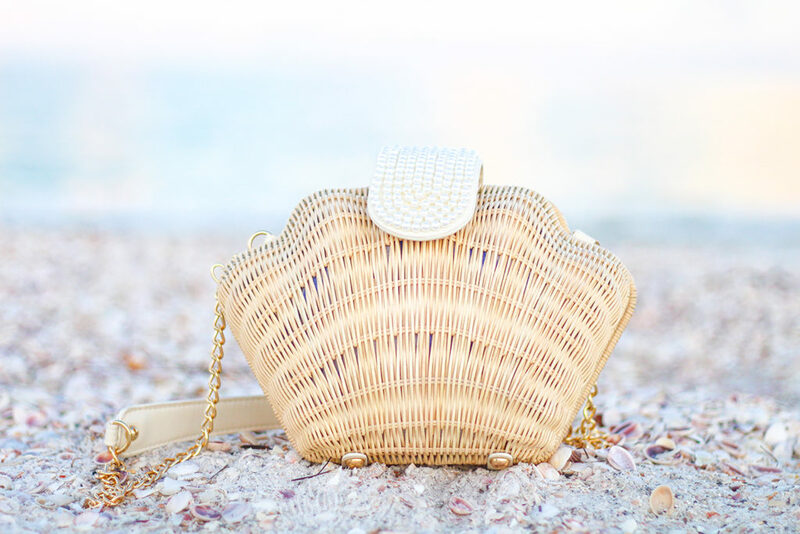 Definitely a must when packing for your next vacation or trip to the beach! 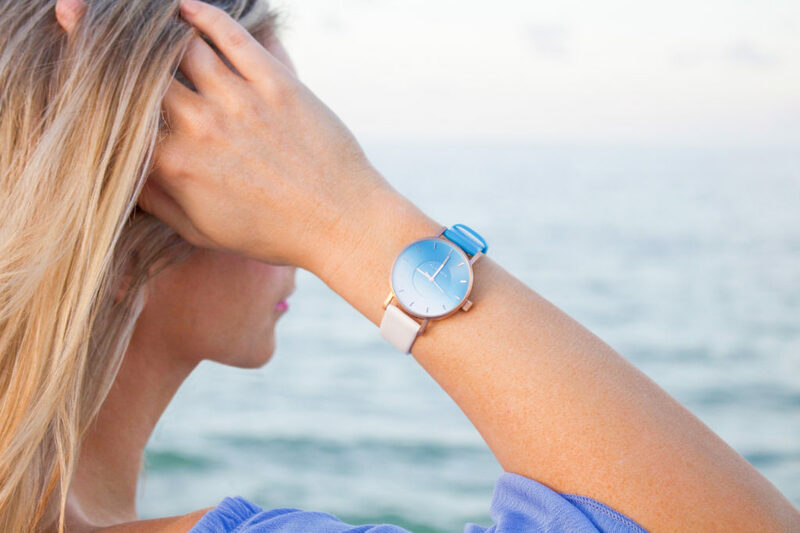 You can shop this watch HERE! Today is National Sunglasses Day! And I do love a fun pair of sunnies! Growing up in Florida we were always taught how important it is to protect our eyes from the sun. My mom had us in them since we were babies! There are so many different styles and colors available now its amazing. And even better is that you can find a cute pair at any price! 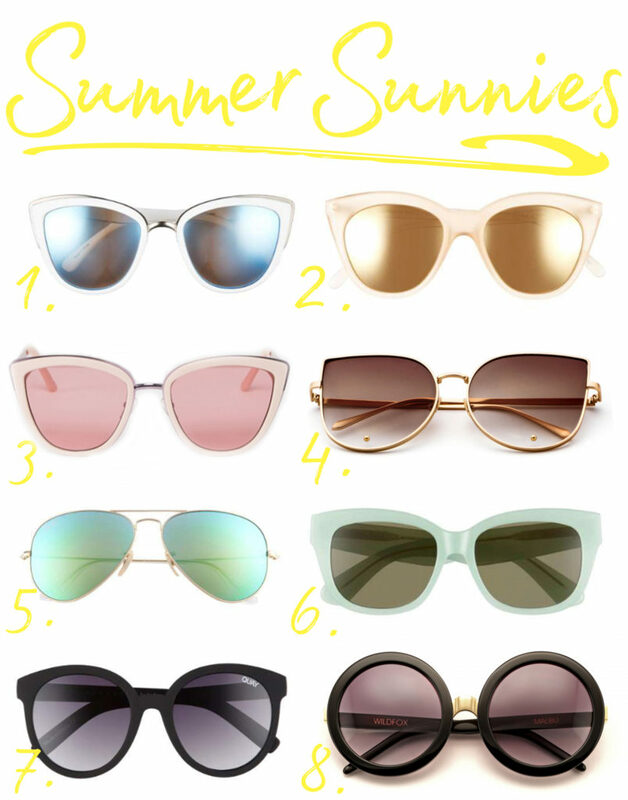 Here are some of my favorite sunnies to wear this summer! I am absolutely loving the Cat Eye right now!! 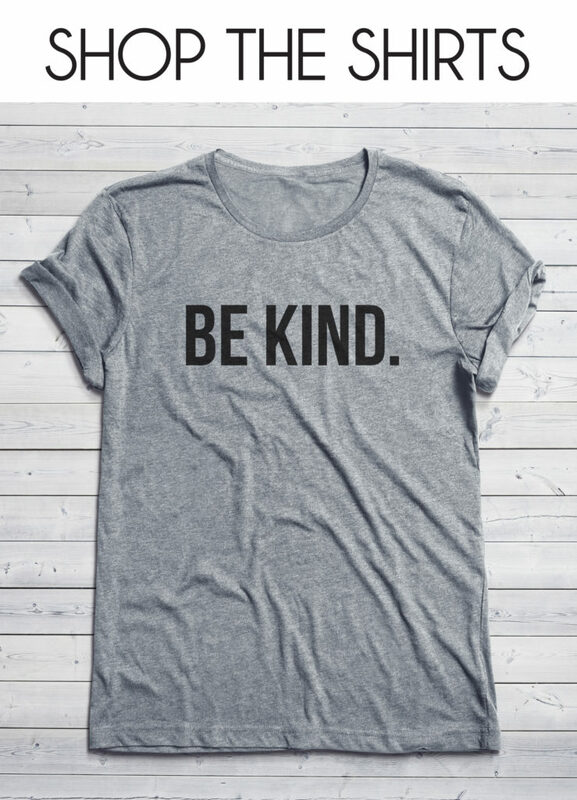 So flattering on everyone:) Happy Shopping!